Bolts of lightning reach temperatures as high as 50,000 degrees. The average thunderstorm is six to ten miles wide. The average rate of travel of a thunderstorm is 25 mph. Lightning can strike from as far away as 10 miles. Heat lightning is not harmless. Heat lightning is regular lightning that is too far away to be heard. It can pose a threat if it moves into your area. Tennis shoes with rubber soles offer little protection against a lightning bolt. If lightning strikes a vehicle, the occupants can still be injured (even though the car has rubber tires and the windows are up) if the occupants are touching metal or any conducting path going to the outside of the vehicle. However, the risk of injury or death while inside a vehicle is much less than staying outside a vehicle but greater than taking shelter within a sturdy building. The metal shell of the vehicle provides the protection- not the rubber tires. A person who has been struck by lightning does not carry an electrical charge and must receive immediate first aid/CPR. Designate someone who is well acquainted with the organization’s weather policy to monitor conditions and make decisions regarding play and practice. This person’s authority and decisions should not be challenged. Most experts recommend that outdoor athletic events should be postponed when the thunderstorm approaches from a distance of six miles. The best way to gauge the distance of a thunderstorm is to measure the elapsed time from the flash to bang. 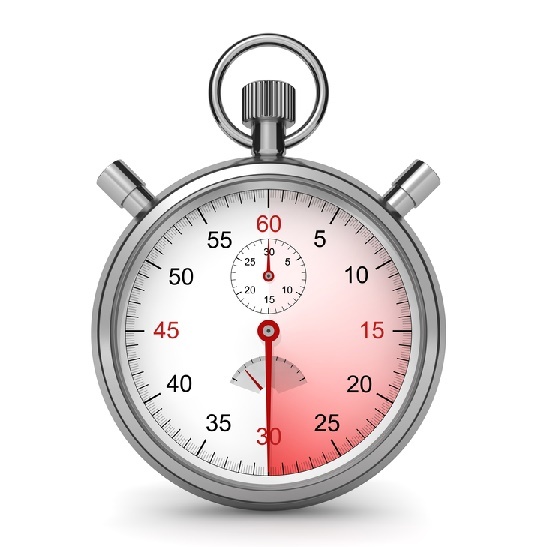 Since a count of five seconds equals a distance of one mile, a count of 30 seconds equals a distance of six miles. In most cases, when you can hear thunder, you are no longer safe. All individuals should have left the outdoor athletic site and reached a safe shelter or location by the time the elapsed flash to bang reaches a count of 30 seconds. If you can’t see lightning, just hearing the thunder is a good back-up rule. Individuals can return to the outdoor athletic site once 30 minutes has elapsed since the last flash or thunder. One of the most dangerous forms of lightning is a “bolt from the blue,” which typically originates out of the back side of a thunderstorm and has been known to strike as far as 10 miles away. All decisions about postponing an activity or returning to an activity should be made by the athletic director, athletics supervisor, trainer, coach, and/or game officials who are responsible for removing teams and individuals from an outdoor athletic site. Instruction for all spectators, players, employees, and volunteers to move immediately to the nearest sturdy building (make sure the access door is open). Instruction that a vehicle is the next best alternative. Warning not to take refuge under or near trees, tall objects, lone objects, bleachers, or fences. Facility owners may also want to consider signage summarizing 30/30 Lightning Rule as well as instructions for taking shelter. When deciding when to suspend play, take into consideration the size of the crowd needing to be evacuated. Larger crowds will require more time to evacuate and relocate to a safer location. In such circumstances, making the call to suspend activity should be made well in advance of lightening meeting the 6-mile mark. It’s critical that a dependable method of communication is available during activity to allow for timely notifications of severe weather, evacuation instructions and information on designated safe locations. Weather-monitoring apps should not override the safety guidelines listed above or the organization’s severe-weather policies. Such apps often lack of accuracy and notifications sometimes are delayed. If someone should suffer a lightning strike, call 911 immediately. Determine if CPR or use of an AED is required. Once an assessment of the victim’s safety is made, move him or her to a safe place. Continue monitoring the victim’s condition until emergency services arrives. Sturdy Building: A sturdy building is an enclosed building with metal plumbing or wiring to ground the structure. Buildings or sheds that are not enclosed (ex: baseball dugouts, tents, open sided rain shelters) should be avoided, as they don’t constitute a sturdy building. While inside a sturdy building, the following areas should be avoided: open doors and windows, close proximity to electrical appliances, contact with plumbing fixtures, and landline phones. It is safe to use a cordless or cell phone. Do not lie on concrete floors or lean against concrete walls. Vehicle: An enclosed vehicle such as a car, truck, van, or bus with a metal roof (not a convertible) and windows completely shut. Avoid touching anything metal or any conducting path to the outside such as a steering wheel, ignition, radio, gear shifter, etc. while inside the car. In the Open: If a suitable sturdy building or vehicle is not available, you may have to stay in the open. Avoid all water, metal objects (such as electrical wires, machinery, motors, bleachers, and fences), small boats, high ground, isolated trees, and telephone poles. If lightning is striking nearby, avoid all direct contact with other people, remove all metal objects from your person, and crouch down with feet together and hands on knees making sure that only your feet are touching the ground. National Oceanic & Atmospheric Administration. 25 Apr. 2006. 22 Sept. 2006. National Lightning Safety Institute. 11 Sept. 2006. 22 Sept. 2006. Lightning Safety: NCAA Guideline 1D. June 1998. 22 Sept. 2006. Journal of Athletic Training 2000; 35(4):471-477. the National Athletic Trainers’ Association, Inc.
Interscholastic Athletic Administration 1999: 22-24. Appenzeller, Herb, David Scott, Todd Seidler. Risk Management In Sport. Durham: Carolina Academic Press, 2005. DISCLAIMER: NO PLACE OUTSIDE IS SAFE FROM LIGHTNING NEAR THUNDERSTORMS. THE GUIDELINES REFERENCED IN THIS ARTICLE ARE NOT 100% SAFE DUE TO THE RANDOM AND UNPREDICTABLE NATURE OF LIGHTNING.